Discover the complete solution to navigate the entire customer journey on one platform. Build and manage any kind of email campaign. Use CRM and other data for personalization that drives engagement. Automate your marketing to scale your capabilities and reach customers with relevant messaging. Connect social to marketing, sales, and service with social media marketing tools. Listen, engage, publish, and analyze data from over a billion sources, and automate social workflow. Activate your customer data to power all digital advertising and manage ad campaigns. Enhance new customer acquisition, re-engage inactive customers, and align advertising with every channel. Create landing pages. Track visitor behaviour, deliver personalized web content, and trigger emails in real time. Increase conversions, click-through rates, and order values. Find value in every customer interaction. Capture, unify, and activate customer data from anywhere — then harness it to create content, commerce, and advertising that’s more relevant and effective. Use marketing to stock your pipeline with high-quality leads. Empower sales to connect with prospects faster and more prepared. Understand your marketing ROI and maximize your efforts with advanced analytics. 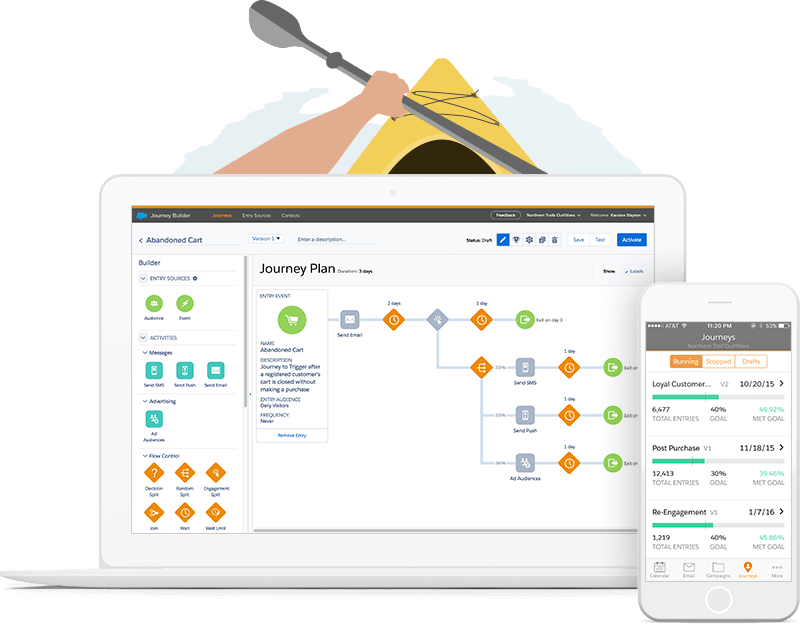 Discover Trailhead and get on the path to delivering real marketing ROI faster.